A woman suffering from depression has been jailed after causing a police incident on a bridge above the A47. 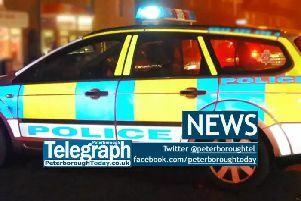 Philippa Fallowfield sobbed as she was jailed for 24 weeks on Thursday at Peterborough Magistrates’ Court after admitting breaching a Criminal Behaviour Order (CBO) and a suspended sentence. Her solicitor asked Deputy District Judge Noble to avoid sending the woman to jail, saying a custodial sentence would cause more harm than good - but Judge Noble said custody was his only option. The court was told Fallowfield (25) of Essendyke, Bretton, had a number of convictions for threatening to jump off bridges and from multi-storey car parks in the past - including this year. She had been given a CBO last year, which banned her from going into multi-storey car parks, and leaning over bridges in May last year. She had also been given a suspended sentence for similar offences. Andrew Nickerson, prosecuting, told the court: “The CBO will remain in place until May next year. “At 9.20pm on December 27 police were called to the defendant leaning over the bridge at Bretton Gate. “Police pulled her back and took her to the floor. Jason Stevens, defending, said: “She was discharged from mental health care a month ago, and she had been doing well. “She is employed in a restaurant in Peterborough, and spent Christmas with her family. “On Boxing Day she fell out with her sister. “She was home alone, and she fell victim to her acute depression. He said courts had tried a number of options to keep her out of jail and work with her in the community, but none of the sentences had prevented her from offending again. But Judge Noble sentenced her to 12 weeks for the latest breach of the CBO, and 12 weeks from her suspended sentence, to be served consecutively. She was also ordered to pay £115 victim surcharge upon her release.